Great for picnics, outdoor activities like sporting events, fishing trips or camping. Comes with insulated bag with heat sealed leak-proof lining for easy cleaning. Double zipped closure to keep food cold from 0°C for maximum 4 hours. 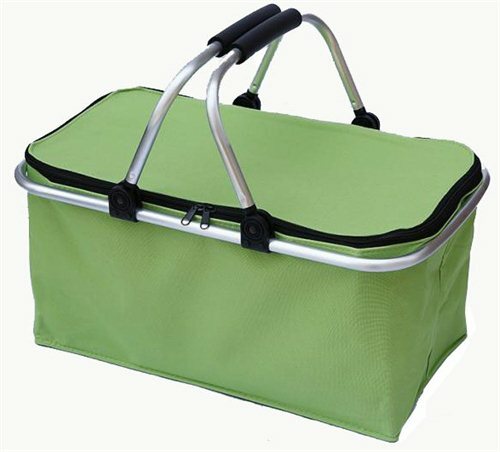 Bag carries up to 10 kg and easily folds flat for storage space. Bag is leak proof with waterproof aluminium foil lining. Holds 6-8 cans plus ice. Size: 46(L) x 28(W) x 24(H) cm.